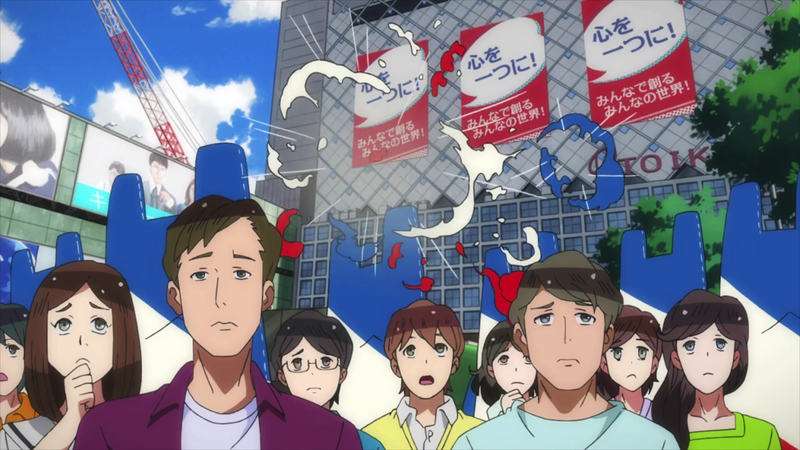 In the first season of Gatchaman Crowds, Hajime Ichinose had her collages. 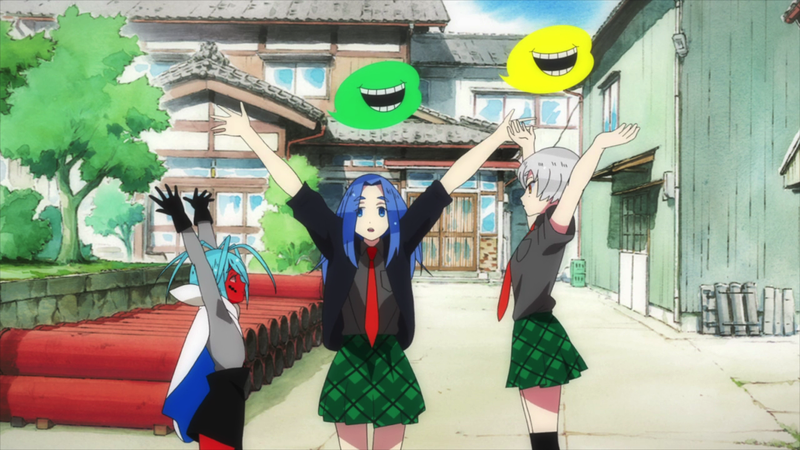 Not only were they a cute hobby that tied Hajime to some influential Tachikawa locals, but they acted as a metaphor – albeit a heavy-handed one – for the way Hajime herself acts. Repeatedly in the first season, she would express how wonderful it was when everyone “came together,” combining their respective talents into something different, exciting, or meaningful, much like a collage. Hajime was always slow and dawdling, sometimes to a fault, but her personality also brought other large personalities together, creating something entirely new. 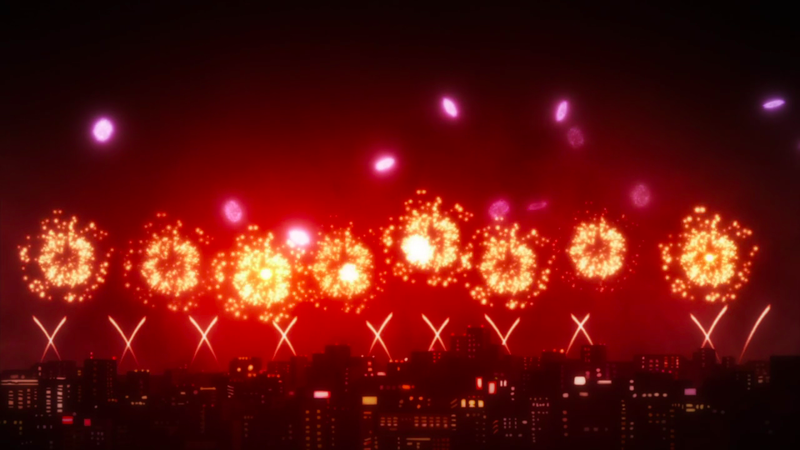 It’s only fitting that Gatchaman Crowds insight‘s finale allowed its new heroine, Tsubasa Misudachi, to show off her own creative talents in the form of a fireworks show. 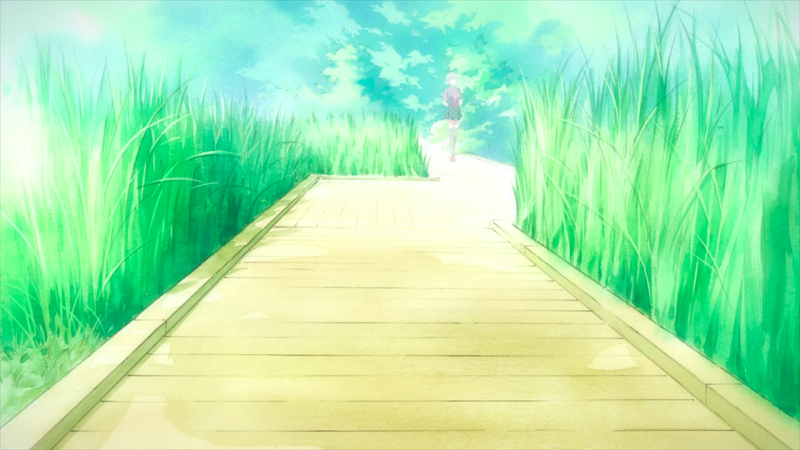 Fireworks are an easy shortcut to Tsubasa’s personality – emotionally-charged, quick to anger, and fiercely passionate – as she’s naturally intense but also acts before she thinks. Unlike a collage, fireworks immediately impress and often inspire an emotional response; however, they’re also fleeting. 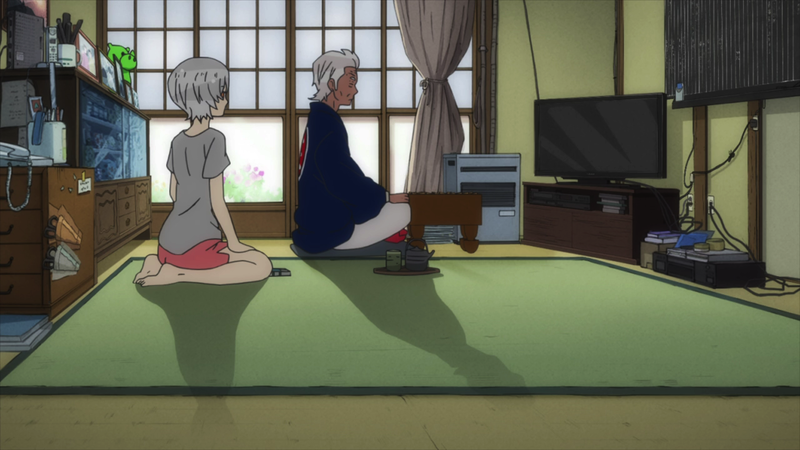 For Tsubasa, fireworks are also the tradition of her family that she carries with pride. Trade offs occur frequently in everyday life – more often than not when money or resources are concerned. In a business sense, trading off usually weighs a more immediate solution against a long-term one, leaving the company or individual to calculated the benefits and risks involved before making a decision. Regardless of the end result, trading off requires a choice. Something must be given, and with every decision something is lost. In an atmosphere where the Kuu are primarily born of people’s innermost fears, Rhythm Suzuki is given the perfect environment to sow his seeds of doubt and gathered influence. Due to recent events in Gatchaman Crowds insight, it’s important to remember how little Gel Sadra knows and, more significantly, who he learns from.